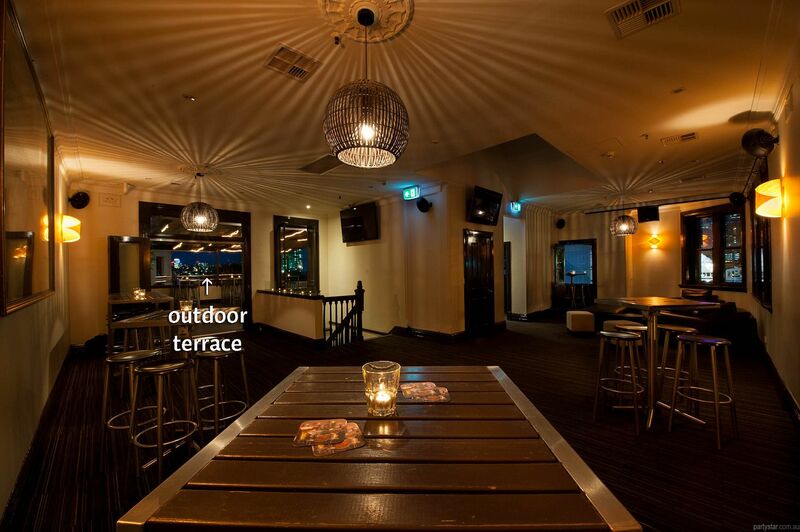 There is heaps going on at this popular Pyrmont venue, not the least of which are our functions. The Rooftop Terrace space takes up the entire top floor of the hotel, guaranteeing a totally private, exclusive area for you and your guests. The L-shaped inside area will greet your guests as they ascend the stairs, and has comfy seating and modern decor. 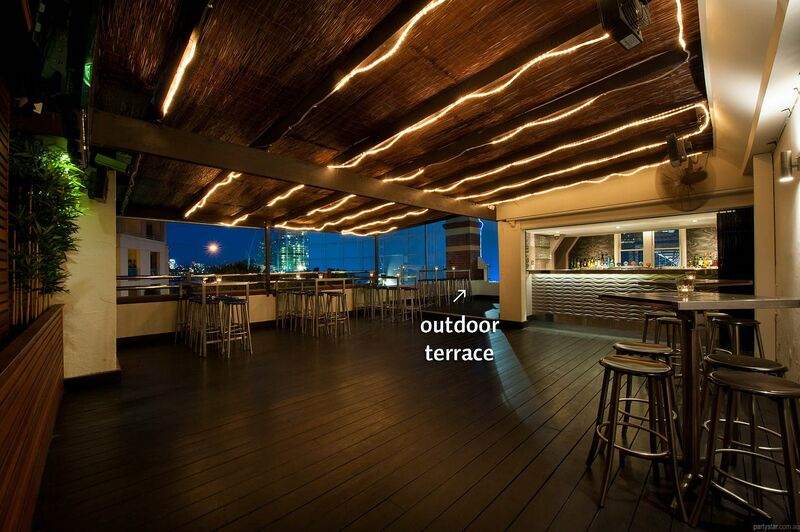 It leads to the terrace, a floorboarded indoor/outdoor space which allows smoking throughout due to its open walls. 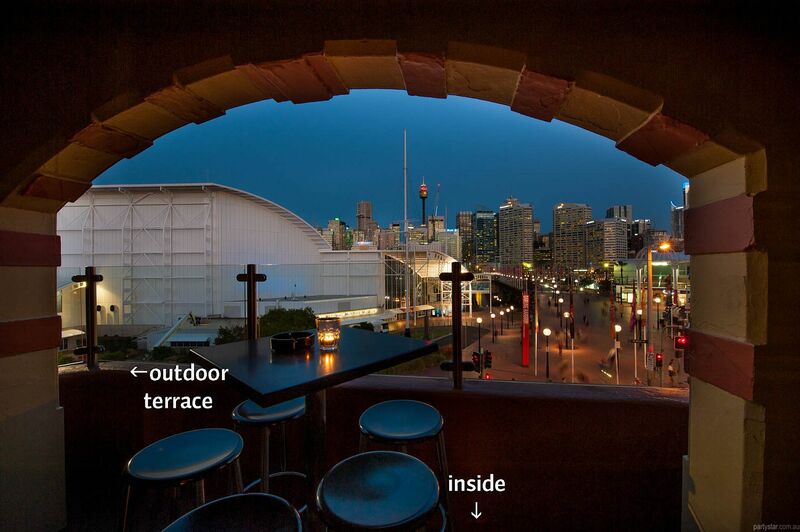 A private bar and access to the night air, ensure you get the best of both worlds. The Juliet balcony (pic 4) inside is a delightful spot to take in the views, and there is also a completely open air section should you wish to gaze skywards and see the stars. 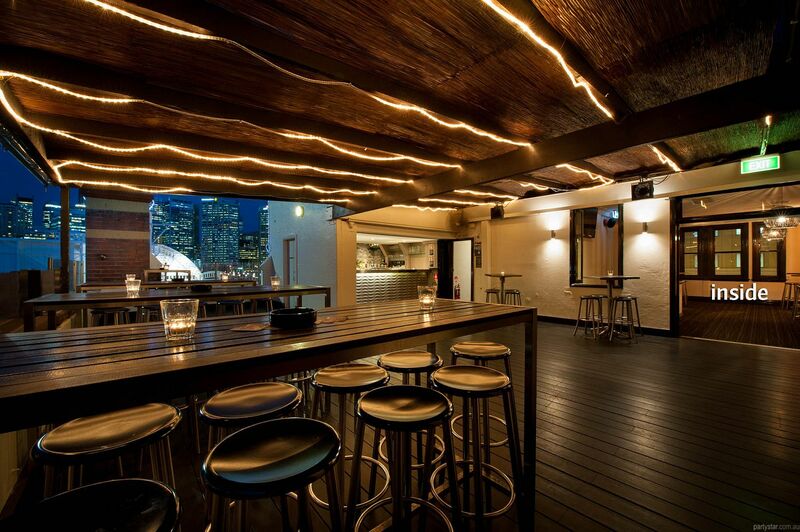 Sweeping views of Pyrmont bay, Darling Harbour and the city skyline will impress, as you and your guests nibble our fresh, housemade canapes and sip drinks amidst this fantastic environment. 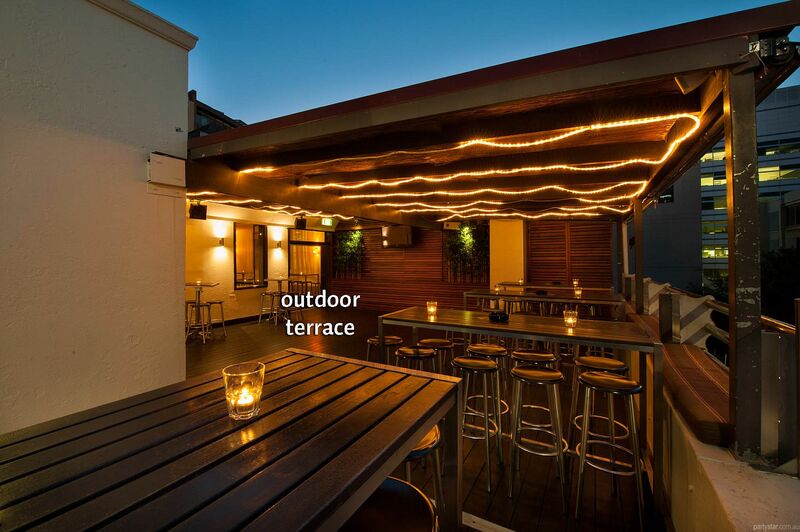 Smoking area: Anywhere except the inside area, including near the bar, is smoking friendly. Parking: Street parking or 3 local parking stations. Sep-Jan (Peak season): Minimum spend limits may increase during this period. Restrictions: No tape on the wallpaper or paintwork.